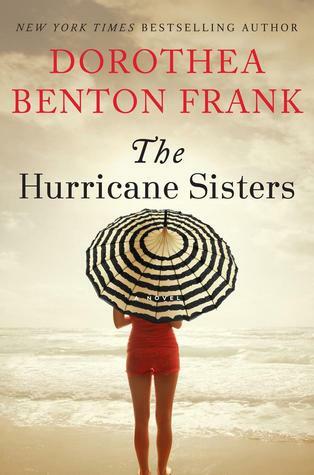 Not too long ago The Hurricane Sisters by Dorothea Benton Frank was on sale so I grabbed it up. I had already read The Last Original Wife by this author and loved it, so I couldn't wait to read another novel by this author. The Hurricane Sisters didn't disappoint. Here is a description of the novel and my 5 star review. The Lowcountry has endured its share of war and bloodshed like the rest of the South, but this storm season we watch Maisie, Liz, Ashley, and Mary Beth deal with challenges that demand they face the truth about themselves. After a terrible confrontation, they are forced to rise to forgiveness, but can they establish a new order for the future of them all? The Hurricane Sisters is a novel about three generations of women and how they are coping with their lives as well as their relationship with each other. Maisie, the grandmother, is quirky and fearless. Liz, Maisie’s daughter, is smart, sensible, and strong. Ashley, Liz’s daughter, is young and finding her place in the world. Together, they drive each other crazy, but there is still a bond that holds them together no matter how much they disagree. Add to that Liz’s shaky marriage, Ashley’s troubled relationship with an overbearing man, and eighty-year-old Maisie’s new boyfriend, and you have more than enough drama, heartwarming moments, and laughter to go around. 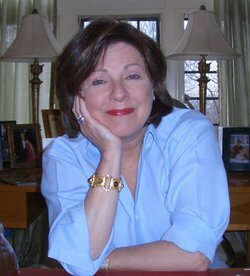 Dorothea Benton Frank is quickly becoming one of my favorite authors. This is the second novel of hers that I've read and I've enjoyed them both immensely. Her characters are always so unique and vivid. I enjoy how she tells the story from each character's perspective - it's a great way to get into the mind of each character. Her writing is fun, sassy, and smart. If you love good women's fiction novels with wit and drama - this is the book for you. I am the author of fourteen novels placed in and around the Lowcountry of South Carolina and thanking God for my chance to speak. When I'm not writing, I'm reading or gardening or cooking. Love to travel, shoot the breeze with people and most of all, be with my husband, children and dog - not always necessarily in that order. Love to have company so come visit at www.dotfrank.com or on Facebook. Read my review of The Last Original Wife by Dorothea Benton Frank.